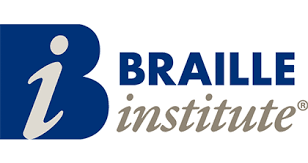 News from Braille Institute: Friends of Braille Institute Rancho Mirage will host their annual fundraising luncheon on Saturday, February 4 at the Thunderbird Country Club in Rancho Mirage. This year’s featured entertainer will be Diane Schuur, visually-impaired Grammy award winning vocalist and pianist. Tickets are $100 and there will be a silent auction with all proceeds going to help support Braille Institute’s free programs and services for those living with severe vision loss. For information, please call (760) 459-6113.